Last night, I flopped myself into bed at 8:30 after prayers with the girls and final tuck-ins. It’s so hard to get them to stop with the beautiful sunshine streaming through windows, and I felt bone spent weary. Michael kissed me good night and left for Home Depot to get a replacement toilet handle. The crack I’d made in the old one last week with some inexplicable power flushing had finally done its work. My body ached, and I felt the residual frustration of justice buttons pushed by adults who should know better and remembered how I’d been like a character in a movie with all the one-liners and the I-could-have-told-them’s flowing from my lips into the kitchen, hoping the girls couldn’t hear me as they played in the backyard. I’d been trying to hold the frustrations down, and they’d made their way out in ugly fashion, and even though I’d said to Michael, “I’m just mad, and it’s not your fault,” I’d closed the door behind me without saying good-bye to him anyway. I walked and the air felt thick and hot, and I tried to imagine burdens falling from shoulders, but they clung. I saw people gathering on porches and wondered if I looked as mad as I felt. I saw a dad from school riding his bike and longed to not see another person I knew. Then I heard my name, sun shining in my eyes. 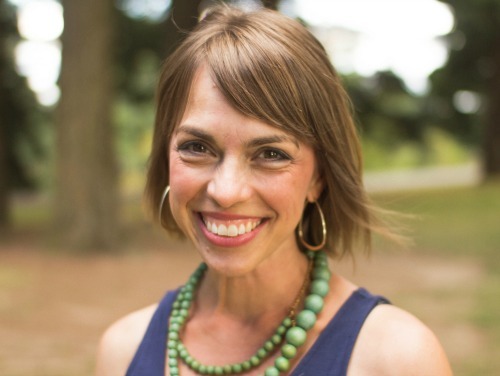 And this friend and her sweet little girl walking on the bike thoroughfare, they are navigating through some first-class pain and fear, and they were so dear and gracious — their words so gentle — that I left feeling a shift to my perspective and questioned what I’m entitled to anyway. So much so that when I came home and dinner was ready, I felt some kind of thankful. And when we sat around the table, I had enough energy to initiate talk of the day’s cherries and pits and not grow too frustrated that the girls kept talking over each other. Last night with the girls in bed, I lay under the cool green sheet, white curtains fluttering with the night’s breeze, and tried to feel the moment’s peace. With parts of the day still holed up in my head, neck, hips, I closed my eyes. From down the hall, the girls’ voices fluttered like birds. They spoke over the lullaby music they’ve wanted most nights since Sici was a baby, each including the other in their lessons of words and math and kindness, and I closed my eyes and tried to remember the holiness of each word. This morning, I can’t yet sit on the couch. The pee-soaked cushion is almost dry, and I’ll put the cover back on later this morning, so I sit in the small chair — the one I hardly ever sit in unless company’s come. The window behind me is open, and the birds call, and I hear faint clangs and churns of a garbage truck several blocks away. The smell in the air is warm toast, soil from the freshly-planted pots on the front porch and hints of woodsy syrup. White curtains flutter around my shoulders, nearly making their way around my head, then flattening behind my back and it’s like the blank page of new mercies unrolling. 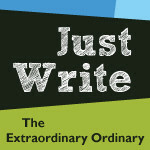 It’s been a long time, but today I’m linking up with Just Write at the Extraordinary Ordinary. ahh, ashley, we haven’t spoken in several days…or has it been more? so i don’t know the specifics of your frustrations, or your “mad”-ness, but i know you (wild and passionate, gentle and tender) and i know how thoughts and sensations come and go, swirl and transform. i’ve learned slowly that all feelings are fleeting. how often it is that the kindness of words spoken by friends, and husbands and little girls (& boys) can make one thing suddenly (and blessedly) another. And the white curtains, trembling and filling, fluttering like wings around your shoulders and your head, lift a heart into light. blessings fill your day, sweet daughter! these images you’ve painted of your dearest girls will fill mine! Yes, feelings do come and go. How miserable if I thought they were the tellers of all truth. Blessings to you and the flutter of white curtains for your day, Mama. Yesterday was “one of those days” for me as well…wondering if the current battle is just life, satan’s attack, or God’s refining. Whichever it is, the answer is to cling to Him and trust Him. Thanks for another beautiful post that touched me. So true, Elizabeth — regardless the reason, the answer is trusting in God. Sometimes that feels more like letting go, other times more like clinging. I pray you are experiencing some peace in the midst. 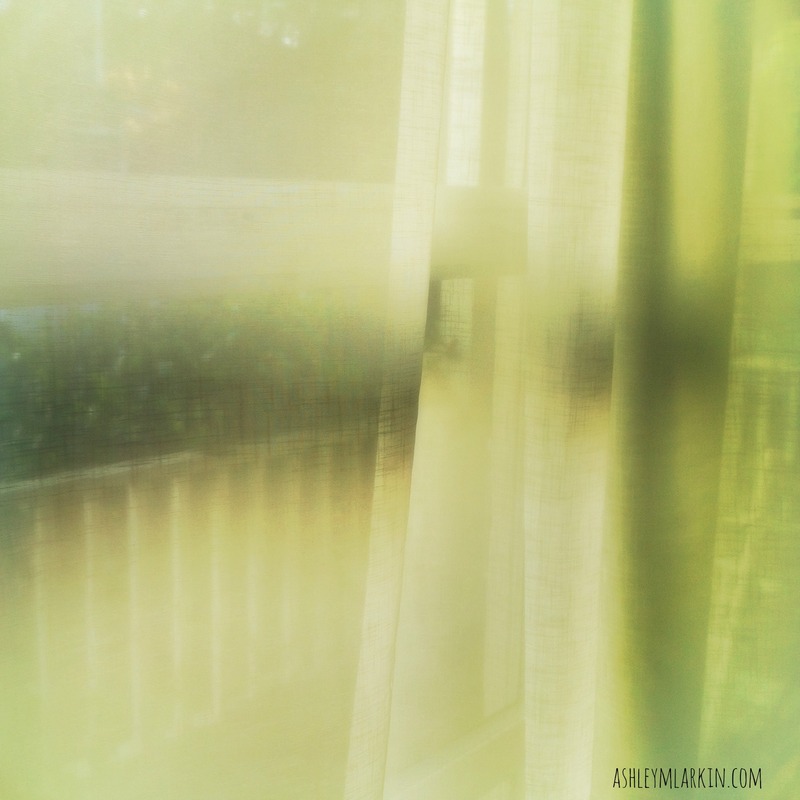 i have green sheets on my bed and pee-soaked cushions on my couch and days where i want to give ’em all what for, too. those mercies. yes, those mercies. Givin’ ’em what for with ya. Thanks, friend. Good to know I’m in good company. As you know so well this too shall pass and probably already has. Feelings come and go just like the breeze blowing those curtains and soon you will be refreshed by a new breeze. Ashley, So good for my heart—your words wringing the beautiful out of those ugly flashes of emotion we all wish we were so beyond. Ah, mercy. Quenches the soul thirsty for it, doesn’t it. Thanks for this moment: “The smell in the air is warm toast, soil from the freshly-planted pots on the front porch and hints of woodsy syrup.” Thanks for letting me drink that one in. Mercy quenches the thirsty soul. What a jewel for me today, Mari. Thank you. We all have those days, my friend! Is fact, we have more of those days than we care to remember. But the way we handle it, is so important. I used to break myself down so much that no one else needed to do it for me. You know that talk: how can you talk of the joy of the Lord, and the peace of a surrendered life, blah, blah, blah. Then one day, our Pappa told me that it is not necessary for anyone to condemn me for I was doing a mighty fine job myself. Well, that cured me more or less. Thank you for sharing that, Mia. I can certainly relate. A big part of the journey for me lately has been extending grace to myself as much as I purpose to extend it to others. Mercy, mercy. oooh! I can relate to you. Live with kids so crazy….and crazy blessed. Beautifully written. You are a beautiful writer. Blessings! Thank you for your sweet words today. Blessings to you. Happy for your presence. Beautiful. So beautiful. Be still and know. Thank you for this my friend! Yes, so much of it comes down to this for me: be still and know. Be still and know. It’s long been my mantra, the line that draws me back in times of listening prayer, in times of chaos, in times of worry. How difficult for me, how needed. Thank you, dear Vickie. White curtains and new mercies.. oh, this is beautifully poetic. Your words are ART, friend. And that bone-tired by 8:30? Yeah, I get that. Sometimes I wish that when I finally crawl (okay collapse) into bed, I could remember the middle of the day instead of the last few hours when everything fell apart and the 2 hours worth of bedtime routines put me over the edge and the teenager who stayed up to late made me crabby… that’s why I need white curtains! So glad each day is a fresh slate. Here’s to fresh slates and remembering the middle of the day! I love that. “White curtains flutter around my shoulders, nearly making their way around my head, then flattening behind my back and it’s like the blank page of new mercies unrolling.” I just want to sit here for awhile, Ash, and let this image flutter about my shoulders. I’m thankful with you, and praying to be more mindful, of these blank pages of new mercies unfurling every day. There is such hope here. I am so grateful for you sharing the struggles of your heart here. Thank you, Amber. I learn so much about hope from you, from the way you tell your stories filled with pain and show how God is there. Right there even then. And new mercies unrolling…I need this each day, too, and still it’s so easy for me to forget. I’m sitting there with you, next to the pee-soaked cushion. Bravo! Because you wrote life girl, and life lived in abundance despite our own lack to see it sometimes. This is what I love to read, life lived live, no voice overs, no Photoshop, just life wrinkles and all. Thank you, Lisa. Not always the most fun stories to write, so I appreciate the encouragement to tell it real and wrinkly. Your post was very soothing to my own weary, frustrated soul. What is it with mother’s day, and everything always being frustrating and sad during this weekend? It happens every year…so much so that I tell my family to please just forget it every year, no joke. Of course they don’t, at least the girls don’t, and the morning is always sweet. I am with you and will pray for you. Leah, I am hoping you were able to let your family love on you, imperfectly though it will be. Praying that you are experiencing some spaces of rest in the midst of the muck, knowing that you are loved. Always loved. Thank you for what you said here about our not being rescued. So true, and isn’t that where we sometimes find our greatest rescue?